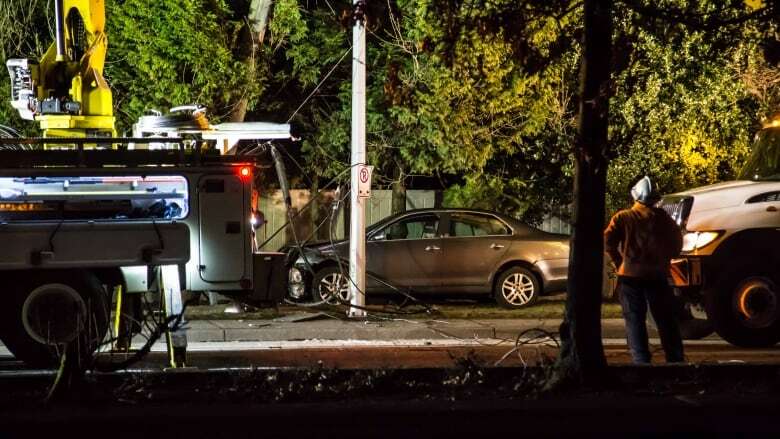 BC Hydro restored power just after 8 a.m.
Power restored just after 8 a.m.
Power has been restored to thousands of BC Hydro customers in Surrey after it was knocked out by a car crashing into a hydro pole Thursday night. The vehicle struck and bent the post on King George Boulevard near 78 Avenue just before 10 p.m. PT. BC Hydro said the accident caused a power outage in the surrounding neighbourhood which initially affected more than 3,000 customers. Crews were on scene overnight fixing the damaged structure.